Encouraging children to discover and become followers of Jesus. Sundays - 9:00am & 11:00am. 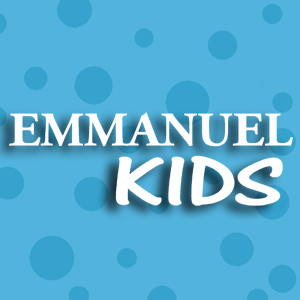 Kids stay in the service for the first few songs and a children's story, then head downstairs for Emmanuel Kids where they can enjoy time hanging out and getting to know other kids while they learn about the Bible. Wednesdays - 6:30pm - 8:00pm. *In order to go swimming, all parents must fill out a waiver by clicking here.